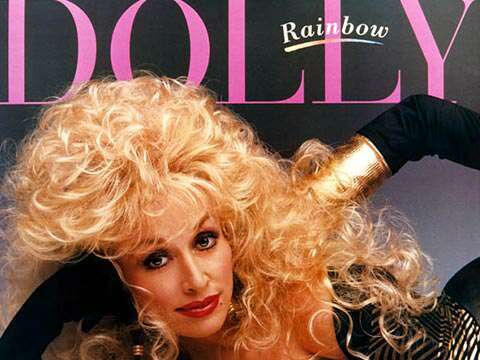 In 1987, Dolly released her 28th solo album, “Rainbow,” which also marked her move to the Columbia Nashville record label where she initially planned to alternate between releasing country and pop albums. After “Rainbow,” Dolly returned to her country roots, though, for the duration of her time at Columbia Nashville. The album’s release coincided with the launch of Dolly’s variety show “Dolly” and even featured a duet with Smokey Robinson. Though none of the album’s singles broke the country Top 40, “Rainbow” peaked at No. 18 on the Billboard Top Country Albums chart.